It’s official. I am starting the new year with an injury. It can only go up from here, right? Don’t get me wrong, I absolutely hate being injured and not being able to run. Yet I also love how being injured forces me to hit a reset button and focus on cross-training. When it comes to cross-training, I usually choose to swim or cycle. I have never enjoyed exercising on the elliptical but it is time for a change. Let’s get straight to it. These are my favorite hard effort elliptical workouts to keep us runners in shape. This past year was crazy to say the least. We moved back across the country to California. Cade proposed at the San Francisco Marathon where I also reached my sub 4 hour marathon goal – did I mention it was the best weekend ever? And then we bought our first home in October! The past year will definitely be a tough one to beat. I was disappointed to be closing out the year with a small injury but I am excited to starting working on reaching my new goals. A year without injuries (fingers crossed). Run a 1:50 half marathon. California International Marathon – maybe? *use discount code REPRESENTKH to save on the San Jose 408k, Across the Bay 415k and East Bay 510k, remote options available. When it comes to running, I usually like to stick to the things that I know work for me. I have the same exact running shorts in multiple colors.. and sometimes even multiple pairs in the same color. I know that I like to eat a piece of toast before I go on my long run and like to eat the same flavors of gel during those runs. I guess you can say that when it comes to running, I get picky. I have struggled with various injuries over my young running career of the last 8-9 years and because of that, I get even more picky when it comes to my feet. 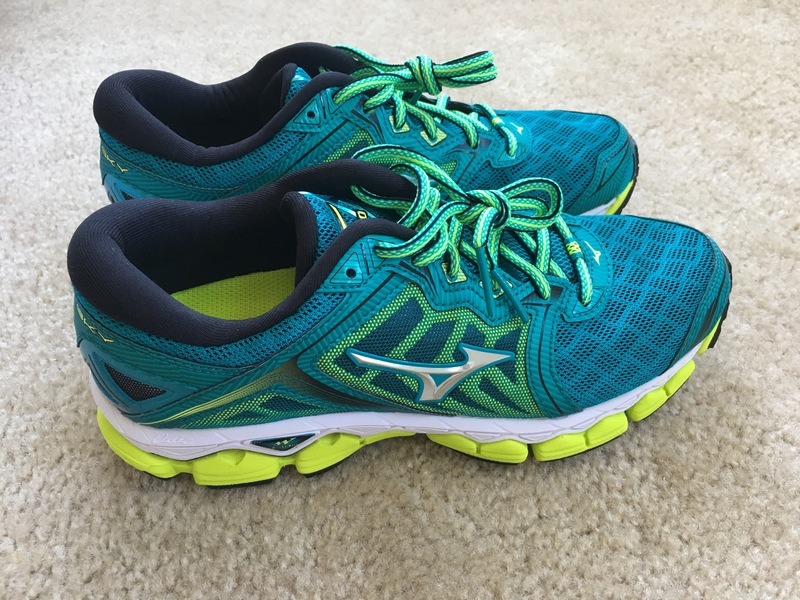 Long story short, I run in a neutral shoe with a custom orthotic insert and I recently had a cool opportunity to test out Mizuno’s newest neutral shoe – the Mizuno Wave Sky. It is definitely different from the shoes that I tend to run in but I kind of love it. Mizuno describes the shoe as below. Maximum cushioning meets maximum comfort in the new Wave Sky, built for neutral runners. A full length U4icX midsole works in harmony with new cloudwave® technology for a plush and lively ride. It is VERY comfortable and there is A LOT of cushioning. (I have not raced in them yet but plan to continue running in them for my easy runs). 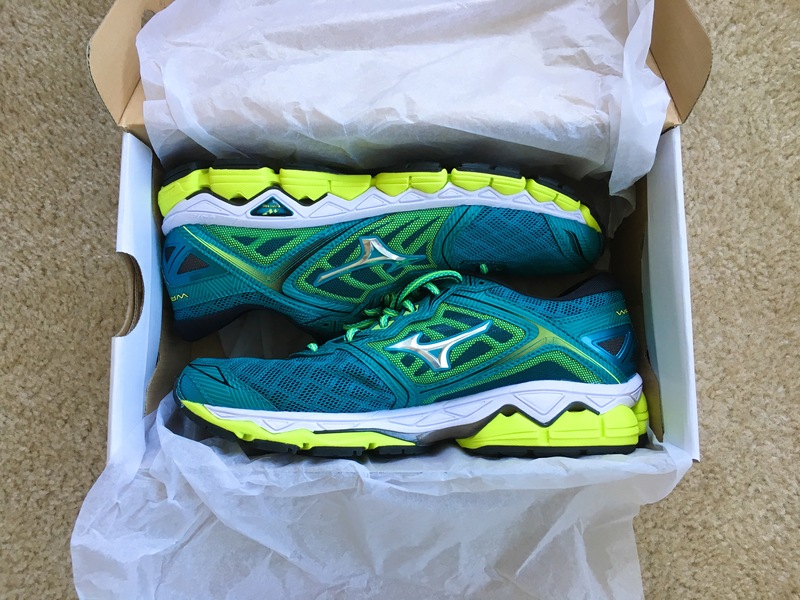 The shoes are priced at $150 – similar to the Brooks Glycerin 14 that I also wear. Check out more from Mizuno! Oops, a little late this week! Ironically, this week’s focus has been on journaling my runs and really paying attention to effort. If you are not already keeping a journal of your training, I highly recommend it. It is also really fun to see your progress! Monday – Speed workout with FleetFeet, 5x1000s which came to 6.7 miles. Run your first 1000m at marathon pace. Run your second 1000m 5 seconds faster than your first. Continue to beat each by 5 seconds, repeat until you’ve done 5. Thursday – 4 miles, TEMPO! Saturday – 12 miles long run at 8:45 /mile! Happy New Year! My recap comes a little late this week after hours of holiday traveling but happy to have been able to finish off the year strong! Monday – Rest day, I needed an extra one this week. Saturday – 12 miles long run on the Los Gatos Creek Trail. Although I didn’t make 100 miles this month, I was definitely happy to finish off December with 95 miles coming off two injuries! Rest Days: The good, the bad and the ugly. Rest days are arguably the most important day of the week yet also the day that I dread and hate the most. In my perfect world, I would want to run every day without ever getting injured and without taking a break. I hate the feeling of sitting around with the extra time that I would have spent running and I am sure that some of you feel the same! Why do we need rest days? Joint health – running puts a lot of pressure and impact on joints. Muscle fibers – as running breaks down muscle fibers, our bodies need the rest time to improve and strengthen. Mentally – sometimes we get caught up in our training and may just need a day off to take a step back. Rest days result in performance improvement! What do I do with my extra time? Stretch and yoga are good exercises to do on rest days. 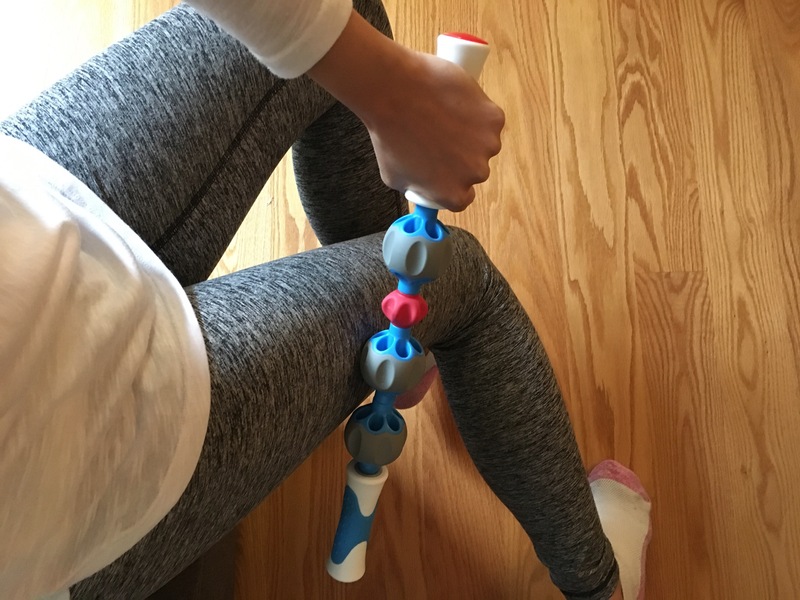 For stretching, I prefer to use my +addaday massage roller (pictured below). My local Fleet Feet store recommended the +addaday product and it has been one of my favorite purchases – I use it almost every day but especially on rest days! Meal prepping is another fun activity for a rest day! Mine usually fall on Sunday so I am able to plan and cook my meals for the week. What are some of your rest day routines? Let me start by saying that I was not a fan of running belts until I found this one. I tried almost all of the others that you can find in the running stores but nothing worked for me other than my Nathan hydration vest (which I love equally but use for my runs over 15 miles). I use this belt for my mid-distance runs since it holds 16 ounces. 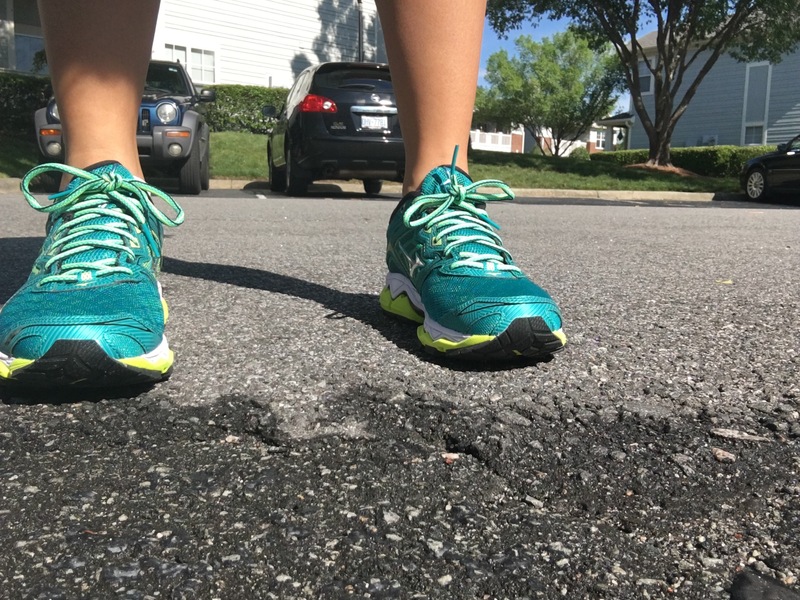 This has become one of my favorite running accessories because it is super comfortable on my runs and easy to travel with. Pouch is large enough to fit smart phones – I have a iPhone 6s and I have room to fit more than my phone in the pouch. Silicone grippers keep the belt snug on your hips – no bouncing or riding up! The belt holds two 8 oz bottles – very secure!! There are two loops to hold gels and bib toggles for race day. Now that all the anniversary and birthday celebrations have passed, I’m ready to get back on track! I’ve been eating Mamma Chia Organic Vitality Granola clusters left and right! The clusters come in four amazing flavors and go great with yogurt or even straight of of the bag. I love this product because they offer so many more health benefits than the packaged granola (with tons of added sugar). The clusters are packed with 10 grams of protein and are soy and dairy free. I thought my first recipe was good but I’ve tweaked it and it’s so much better!!! Mix the ingredients together and fry in a pan with some coconut oil. It is so good and it holds better than my first recipe.